1865 Established by W. J. Battersby. 1901 Incorporated as a Limited Company. 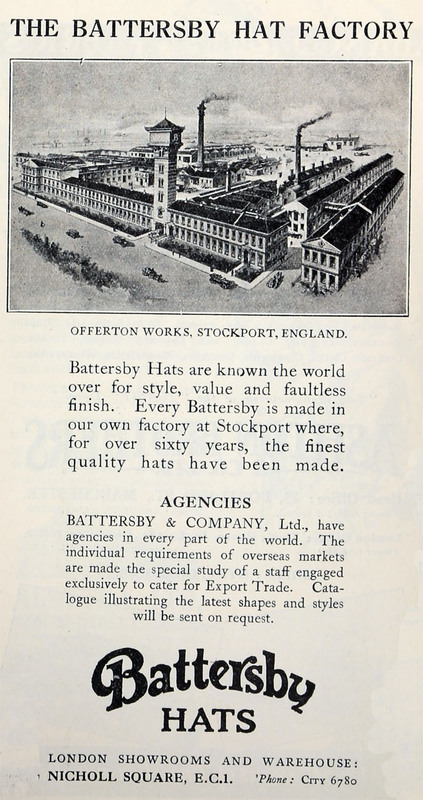 1966 Battersby merged with four other felt hat manufacturers to form Associated British Hat Manufacturers. This page was last edited on 28 May 2016, at 19:37.